Located between the Governors Gallery and the Adaptation Gallery: Geologic Time, the Red River Hall is home to North Dakota Art. This rotating art gallery features North Dakota artists. 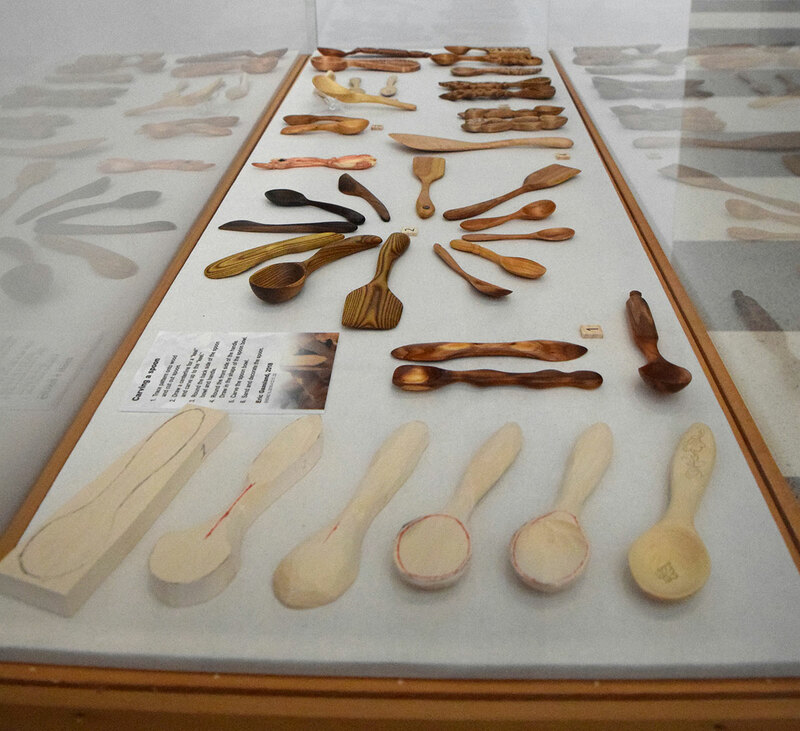 Chisels and Shavings: North Dakota Woodcarvings is an exhibit of contemporary and historic woodcarvings produced in cooperation with the Bismarck Flickertail Woodcarvers, who are celebrating their 50th anniversary in 2019. A variety of carvings using different techniques are on display, including some traditional cultural styles. Featured is a puppet carved during the 1930s by one of the Flickertail Woodcarvers founding members, Works Progress Administration artist Telle Rudser.